I have been using AVG Free for home computers for more than a decade. Reasonably good anti-virus, but as with all the others in this lot, save for MalwareBytes, not good at general, non-viral, malware. Avast is actually better at the Malware not classified as “virus” and this is 90% of initial infections making it the better choice. MalwareBytes isn’t anti-virus so I would use it to supplement rather than replace. Before I rant on AVG I really must say that I appreciate AVG very much. More than 10 years of free antivirus that was at least as good as products from Norton and McAfee (talking home products here, not corporate) was a good run. They have served us well for a long time, and I know only a small percentage of my clients upgraded to full protection and most of them were…well, tricked. Free anti-virus must be a really tough business model – especially when you are #1 in the game for as long as they were. I mean, how long can you provide excellent anti-virus protection for free while converting so few customers into paying customers? Thank you AVG for sticking in there as long as you did. The reasons I do not recommend AVG were mostly touched on in this article. First, installing and uninstalling began to breakdown. I try to avoid installing into an infected computer where possible. Go over to bleepingcomputer dot com for help disinfecting and then install your anti-virus. AVG somehow became impossible to uninstall after systems became infected with non-viral Malware. I suspect it is because the malware compromised AVG in some way, but this makes broader malware protection that much more important. 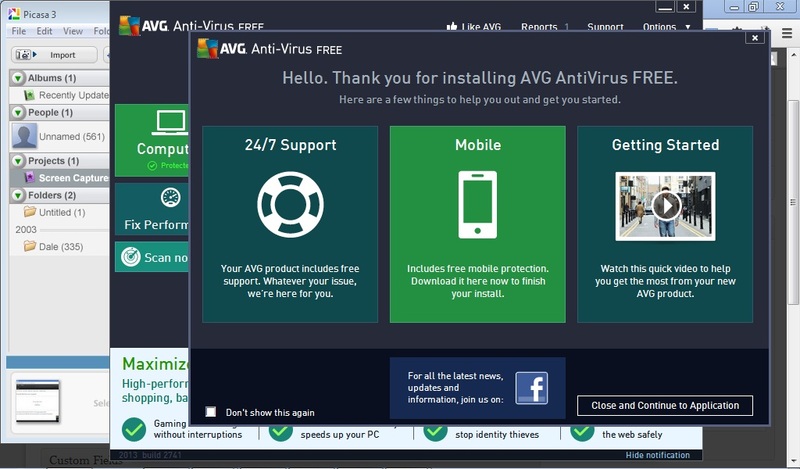 The larger issues with AVG are that they began to trick users into installing the trial of the paid product, insisted on installing the toolbar and taking over the search in the computer. Now, I could be wrong here but installing toolbars and taking over search is what I need security software to protect me from! AVG is like the Chemotherapy a cancer patient has to take. We don’t like it, but we have to have it. Not good public relations. The PC TuneUp was even worse. The AV product makes it seem like the TuneUp product is necessary to keep the system protected. Unsuspecting users install the TuneUp, which pops up every now and again to alert the user that they should upgrade to the paid version of TuneUP because the computer is not performing as it should. This is exactly the behavior of most of the malware that gets installed. If it look like a duck… AVG Free is Malware! I know that that statement is not literally true, but come on! How bad is it that the thing you install to protect your computer from malware displays the most prevalent characteristics of malware. The PC TuneUp is a bigger blunder because people who thought they were buying AVG Internet Security software sometimes didn’t realize they were buying PC TuneUP. When called to help I end up having to explain to them what really happened and they are pissed I ever recommended the product to them in the first place. All of that said, AVG Free is still good protection. A Savvy user can install it without the extras, update it without the upsell and the extras, avoid the warnings that they are not fully protected without TuneUP and end up with protection that is still on par with McAfee or Norton. Avast is just less work. For now.